In this elegant wedding dress in radiant white, a lady of the 15th century would have been the shining focus of the occasion. This smooth satin-weave fabric shimmers with your every movement. Lacing at the back allows you to adjust the dress to fit your figure perfectly, and the vertical seams in the bodice flatter your waistline. 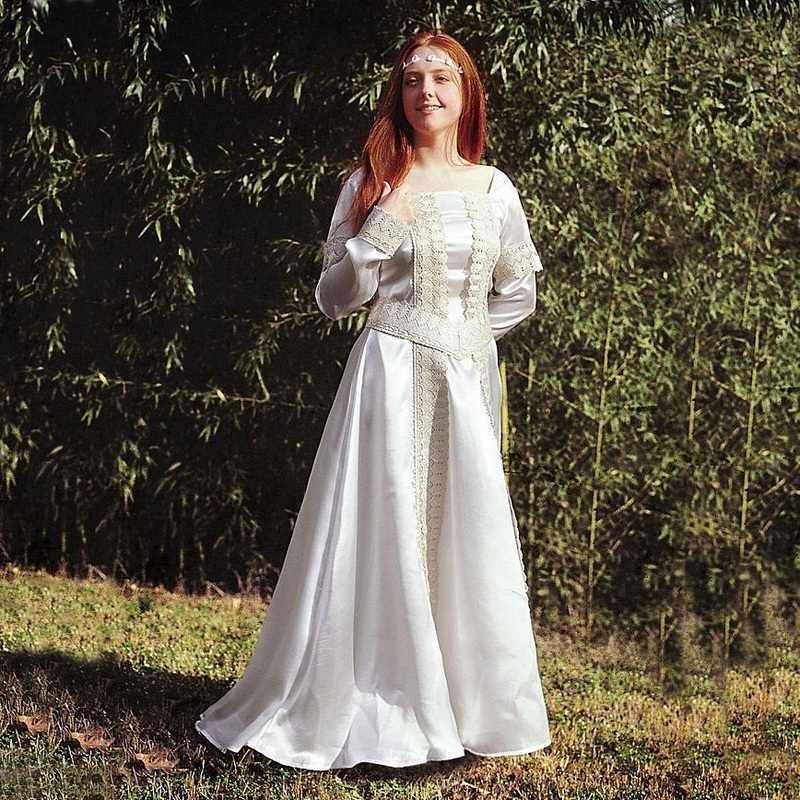 This elegant medieval wedding dress even has a graceful, short train. Two rows of wonderfully lacy, gold & white Jacquard trim decorate the front, the long sleeves, and the cuffs. A V-shaped belt with elegant ties adds the finishing touch.